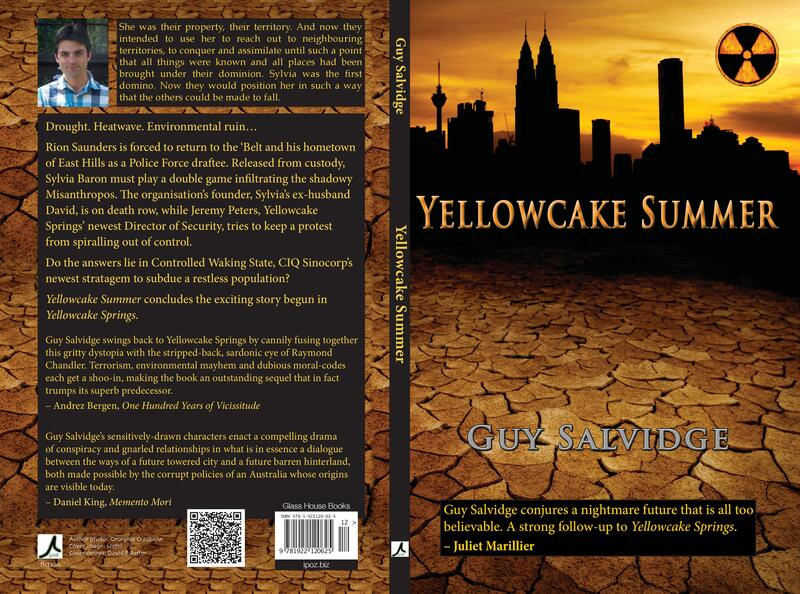 My third novel, Yellowcake Summer, which is a sequel to Yellowcake Springs, has been released by IP. The novel follows the fortunes of Rion, Sylvia and Peters — all major characters from the first novel — as they swelter through the thirsty Australian summer. I’ve written this story in two parts, so there won’t be a third Yellowcake volume. Everything that is set up in Yellowcake Springs comes to a head in Yellowcake Summer. Here’s the book’s page on the IP Website.